This poem is very familiar to all of us who are keen to King Arthur’s tales. It was written byAlfred, Lord Tennyson, who is probably the most famous poet of the Victorian age, the first ever poet to become a lord and the first to amass a considerable fortune by his writing. His poetry defines the private and public concerns of the 19th century. http://www.youtube.com/watch?v=MU_Tn-HxULM(live performance by McKennitt at the Juno Awards, short version). http://www.youtube.com/watch?v=Vw_cZGrVFqw(long version, still shots only). Thanks to JulieBismarck and her wonderful “Celtic Lady” blog… I got acquainted of this Film and that it’s sales are now in support for a woman who is an amazing cornerstone of the modern Pre-Raphaelite community, Stephanie Piña, creator of LizzieSiddal.com and Pre-Raphaelite Sisterhood.com. Stephanie’s husband was recently in a terrible accident, and unfortunately is self-employed with no insurance. 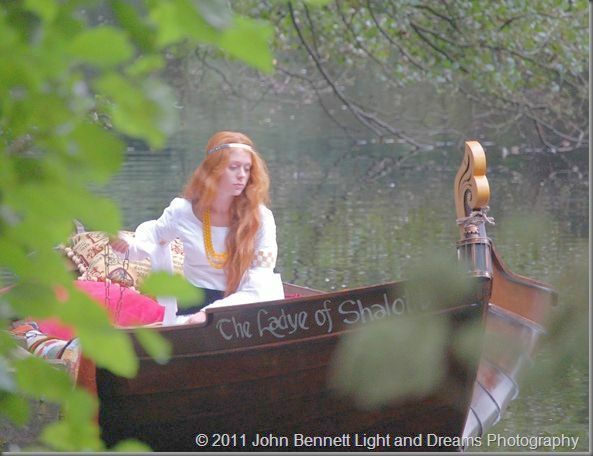 Buy the Lady of Shalott DVD for a special cause! 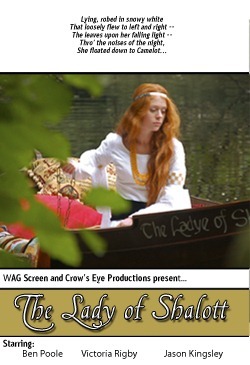 Also, for the next few weeks, 50% of the proceeds toward purchase of the DVD from the amazing WAG Screen production of The Lady of Shalott will go toward helping Stephanie’s family. As part of the celebrations a major exhibition of Pre-Raphaelite art, including some of Waterhouse’s works, will be shown at The Collection, Lincoln from May. 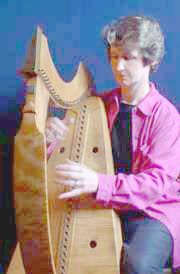 They are working very closely with the Waterhouse paintings of the Lady of Shalott and have gone to great lengths to replicate her clothes, her boat and, currently, her loom. To find out more visit their web site at: www.theladyofshalott.co.uk The film will also be shown at the Collection from May 2009.WAG Screen is a not-for-profit organisation closely related to WAG Washingborough Archaeology Group). 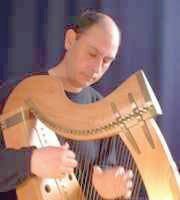 Dante Ferrara – La Donna di Shalott, music video (4 minutes)Buy the Lady of Shalott DVD for a special cause! Victoria Rigby is the Lady of Shalott. 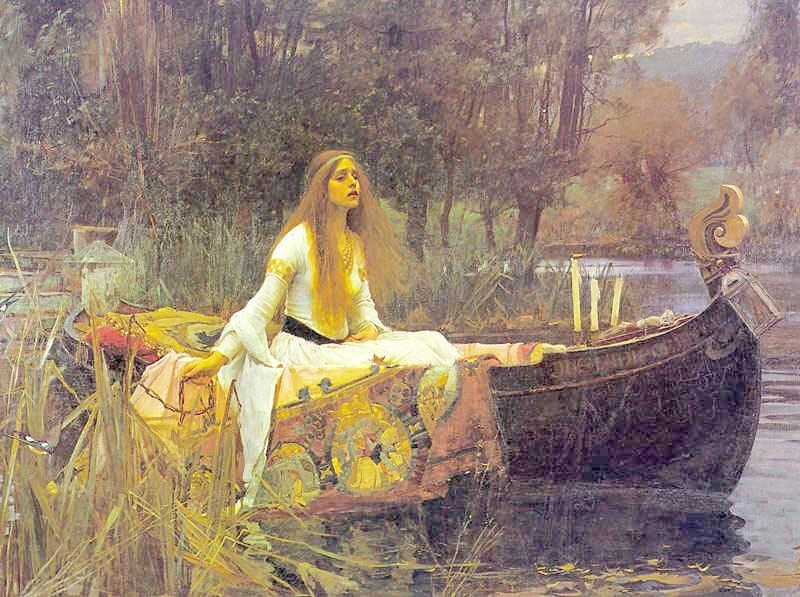 And she depicts the Lady of Shalott as if she were alive! …she is a stunner…and a great discovery by the film makers, who have done a great resemblance with the Waterhouse’s famous painting, no doubt of it ! >Celtic Symbolism: "Midsummer Bonfires Traditions in West Cornwall"
Her true-love’s faithless heart was cold. According to British Folk Customs, in what is claimed to be a continuation of ancient pagan ceremonies, every June 23 a series of fires are lit across Cornwall, the lie stretching from Lands End to the northern border with Devon, or the English border as some Cornish people look at it. These days the midsummer bonfires are fed with greenery, one bunch of good, medicinal plants, another a bad bunch of noxious weeds and bitter herbs, both of them bound with ribbons of symbolic colours. But many centuries ago, according to some sources, there were animal and even human sacrifices made the offerings by being plunged into the flames. When Christianity came to Britain the church embraced the custom, while ensuring it was associated with a Christian saint as it took place on St John’s Day eve. The tradition faded in Victorian times, but was revived when the Old Cornwall movement started in the 1920s. Now fires are lit in Redruth , St Just , St Columb , St Breock, St Agnes , Madron and St Ives , still with the Old Cornwall movement to the fore, and with the ceremony conducted in the Cornish language. Our bonfires, torches, and tar-barrels, with the peculiar hand-in-hand dance around the blazing piles, remind us of ancient times when similar customs were regarded as sacred rites by our forefathers; and it would seem a s if some vestiges of these time-honoured religious notions were still connected with Midsummer bonfires in the minds of old-fashioned people, living in remote and primitive districts, where they still believe that dancing in a ring over the embers, around a bonfire, or leaping (singly) through its flames, is calculated to insure good luck to the performers and to serve as a protection from witchcraft and other malign influences during the ensuing year. Many years ago, on Midsummer’s eve, when it became dusk, very old people in the West Country would hobble away to some high ground, whence they obtained a view of the most prominent hills, such as Bartinney, Chapel Carn-brea, Sancras Bickan, Castle-an-Dinas, Carn Galver, St. Agnes Bickan, and many other beacon hills far away to north and east, which vied with each other in their Midsummer’s blaze. They counted the fires and drew a presage from the number of them. There are now but few bonfires to be seen on the western heights; yet we have observed that Tregonan, Godolphin, and Carn Marth hills, with others away towards Redruth, still retain their Baal fires. We would gladly go many miles to see the wierd-looking, yet picturesque, dancers around the flames on a cam, or high hill top, as we have seen them some forty years ago. We are sorry to find that another pleasing Midsummer’s observance, which also appears to be ancient, has almost died out. Yet within the memory of many, who would not like to be called old or even aged, on a Midsummer’s eve long before sunset, groups of girls—both gentle and simple—of from ten to twenty years of age, neatly dressed and decked with garlands, wreaths, or chaplets of flowers, would be seen dancing in the streets. One favourite mode of adornment was to sew, or pin, on the skirt of a white dress, rows of laurel-leaves, often spangled with gold leaf. Before Midsummer small wooden hoops were in great demand to be wreathed with green boughs and flowed for garlands, to be worn over one shoulder and under the opposite arm. Towards sunset groups of graceful damsels, joined by their brothers, friends, or lovers, would be seen “threading-the-needle,” playing at “kiss-in-the-ring,” or simply dancing along every here and there from Chyandour to Alverton, from the Quay to Caunsehead, as the upper part of the town used then to be called, perhaps with more propriety than Causewayhead. On my previous post I discussed upon Midsummer’s Eve celebrations in Ireland and Herbal Connections. But this tradition is also especially strong in northern areas of Spain, such as Galicia and Asturias, where one can easily identify the rituals that reveal the pagan beliefs widespread throughout Europe in Neolithic times. Bonfires are lit when the day 24, ie, after midnight. They are credited with protection and good luck to the fact a fire jump nine times that night (depending on the populations, the number varies). Also practitioners had to receive nine times waves at the nozzle to increase female fertility. Very dear are the bonfires on the Island of Arosa as each year more than 50 this solstice bonfires are lit on the site, with a festive atmosphere the beautiful white sand beaches are full of people to the orange firelight. At night they gather herbs of various kinds are left in water to wash the next morning it accounted for therapeutic and cleansing properties. These beliefs pivot on three basic ideas: the importance of medicinal plants, especially in relation to health, youth and beauty; the protective character of fire to ward men off evil spirits and witches and, finally, the purifying, miraculous effects of water. What follows is a summary of Galician traditions surrounding St. John’s festival in relation to these three elements. Traditionally, women collect several species of plants on St. John’s eve. These vary from area to area, but mostly include fennel, different species of fern (e.g. dryopteris filix-mas), rue (herb of grace, ruta graveolens), rosemary, dog rose (rosa canina), lemon verbena, St John’s wort (hypericum perforatum), mallows (malva sylvestris), laburnum, foxgloves (digitalis purpurea) and elder flowers. In some areas, these are arranged in a bunch and hung in doorways. In most others, they are dipped in a vessel with water and left outside exposed to the dew of night until the following morning (o dia de San Xoan -St. John’s day), when people use the resulting flower water to wash their faces. Tradition holds it that the medicinal plants mentioned above are most effective when dipped in water collected from seven different springs. Also, on some beaches, it was traditional for women who wanted to be fertile to bathe in the sea until they were washed by 9 waves. Bonfires are lit, usually around midnight both on beaches and inland, so much so that one usually cannot tell the smoke from the mist common in this Atlantic corner of Iberia at this time of the year, and it smells burnt everywhere. Occasionally, a dummy is placed at the top, representing a witch or the devil. Young and all gather around them and feast mostly on pilchards, potatoes boiled in their skins and maize bread. When it is relatively safe to jump over the bonfire, it is done three times (although it could also be nine or any odd number) for good luck at the cry of “meigas fora” (witches off! ).It is also common to drink Queimada, a beverage resulting from setting alight Galician grappa mixed with sugar, coffee beans and pieces of fruit, which is prepared while chanting an incantation against evil spirits. The typical food of the evening are cachelos (baked potatoes with their skins, which is then removed) and grilled sardines. The typical drink is the “burning” magic potion of brandy with fruit and lots of sugar that is burned in a pot and recites a spell during the preparation. It’s a party extended along the coast and most of Galicia. In Asturias, this night is called the traditional “Nuechi de San Xuan” a. The most famous Fogueró Mieres is burning in the Town Hall Square in the city. They also have a reputation of Oviedo, held in the district of Sama and whose fire is burning in the middle of the river Nalón, and held in the town of Corvera including holding a “Nuechi Celta” a free music festival held by several folk music groups. They are also very massive bonfires taking place on the beach west of Gijón and the Oviedo’s Cathedral Square. All of them are enlivened by musical groups, and have fireworks and the typical “espichas” Asturian cider consumption, in the traditional style. In Portugal, Midsummer festivities are included in what is known today as Santos Populares (Popular Saints celebrations), now corresponding to different municipal holidays: St Anthony’s Day in Lisbon (June 13), St John’s Day in Porto, Braga, Figueira da Foz, and Almada (June 24), St Peter’s day in Seixal, Sintra, Póvoa do Varzim, and Barcelos (June 29). The actual Midsummer, St John’s day, is celebrated traditionally more in Porto and Braga. Saints’ days are full of fun and merriment. The streets are decorated with balloons and arches made out of brightly coloured paper; people dance in the city’s small squares, and altars, dedicated to the saints, are put up as a way of asking for good fortune. These holidays are days of festivities with good food and refreshments, people eat Caldo Verde (cabbage and potato soup), Sardinha Assada (grilled sardines), bread and drink red wine and água-pé (grape juice with a small percentage of alcohol). In Lisbon, in Avenida da Liberdade, there are the Marchas, a parade of folklore and costumes of the inhabitants from the city’s different traditional quarters, with hundreds of singers and dancers and a vast audience applauding their favorite participants. As St Anthony is the matchmaker saint, it is still the tradition in Lisbon to celebrate multiple marriages (200 to 300) and still following the tradition, if you are attracted to someone, one can declare himself in the heat of the festivities by offering to the loved person a manjerico (a flower-pot with a sweet basil plant) and a love poem. In Porto and Braga St John’s is a festival that is lived to the full in the streets, where anything is permitted. People carry a whole plant of flowering garlic with them (or a little plastic hammer), which they use to bang their neighbors over the head for good luck. According to one Portuguese Grandmother, the tradition is that St. John was a scalliwag in his youth and the people hit him on the head with the garlic saying “return to the right path”. There is also dancing, while the highlight of the night is the firework display over the River Douro (in Porto) and down Avenida da Liberdade (in Braga). Across the country the traditional midsummer bonfire is also built, and following an ancient pagan tradition, revelers try to jump over the bonfire, this in order to gain protection during the rest of the year. 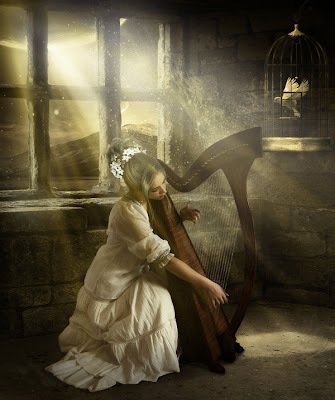 >Loreena Mc Kennitt : "A Tribute Message"
I would like to share with you with true affection this recent special message from Loreena Mc Kennitt. Mothers are secure foundations, filled with love and fond appreciation. They always make us feel protected; sheltered by their care. Kind Loreena, I am sure your mother will always have a place of honor deep within your heart. To everything there is a season and so it is that our lives come and go. It is with sadness that I relay that my mother has recently passed away. Although this truly lies on the more private side of my life, I feel compelled to share this note as a tribute to her, rather than for seeking condolences. She was a remarkable woman in many respects, a nurse in her own right and in relation to my career, she would always point out to anyone within ear shot that “ SHE was the FIRST PRODUCER.” Ah, my mother, she was never short on a bit of dry wit. On another level, it can safely be said, that my career would not have occurred at all without her. Both of my parents were proud of what I did (on the most part) and were greatly supportive. My mother in particular, lugged her young, tom -boyish red haired daughter to any and every musical, or theatrical production within driving distance of Morden Manitoba . She enrolled me in piano lessons at the age of 5 and in some years, travelled with me every week 80 miles to Winnipeg as I followed my music teacher there. She brought my brother and I regularly each summer to an outdoor musical theatre called Rainbow Stage where I briefly performed in my late teens, and then traipsed across the wide provinces of Manitoba and Ontario when I moved to Stratford to work in the theatre there. For those of us who have been blessed with getting to know our mothers, particularly in our adult hood, one can attest to continued love and appreciation ( and even some exasperation! )of them on different and evolving levels…as a friend, a confident, a fellow traveler and later as roles change, as someone who may come to depend on you. It has been an incredible privilege to have cared for my mother in these past years and I can honestly say I never stopped learning from her and I expect I will continue to yet as more layers of who she was become revealed through family and friends in our reminiscences. She could be as fierce an advocate as you could find and never hesitated to question things. Growing up in the depression, she respected the value of things and the hard work it took to acquire or achieve something. And although she did not wear many of her personal thoughts on her sleeve, she was who she was, in the way she lived her life and how she did things, many for the communities of which she became a part. As sad as this occasion is, it is truly one for celebration. On the occasion of her passing, I would like to raise a toast to all parents, grandparents and friends who have played and continue to play fundamental roles in the shaping of their children’s, grandchildren’s and all our lives and the incredible interwoven legacies they leave with us, legacies for which we must be truly thankful. When Sonia Gomes a close friend of mine who lives in Portugal sent me a piece by Elena Dudina, I said to myself … I want to know this artist! The work of this Russian born artist now living in Spain is of a high artistic level, creating only with Photoshop and I would say with a great perception of the Other World. Her style may somehow be placed somewhere between fantasy, emotional, and dark, she is able to bring the best of illumination, colours and ideas to produce magic on Photo Manipulation. Individualistic and perfectionist, passionate about photomanipulation and books, fan of the work of Dali and Hieronymus Bosch, Elena is a tenacious artist yet very accessible, thanks to her collaboration I can bring to you some facts of her artistic career in her own words. and swiftly then, the young men runne leapinge over the same. The Feast of St John coincides with the June solstice also referred to as Midsummer. The Christian holy day is fixed at June 24, but, in some countries, festivities are celebrated the night before, on St John’s Eve. It’s a day to celebrate the fullness of the year and to mark the tuning point towards harvest and shorter days. 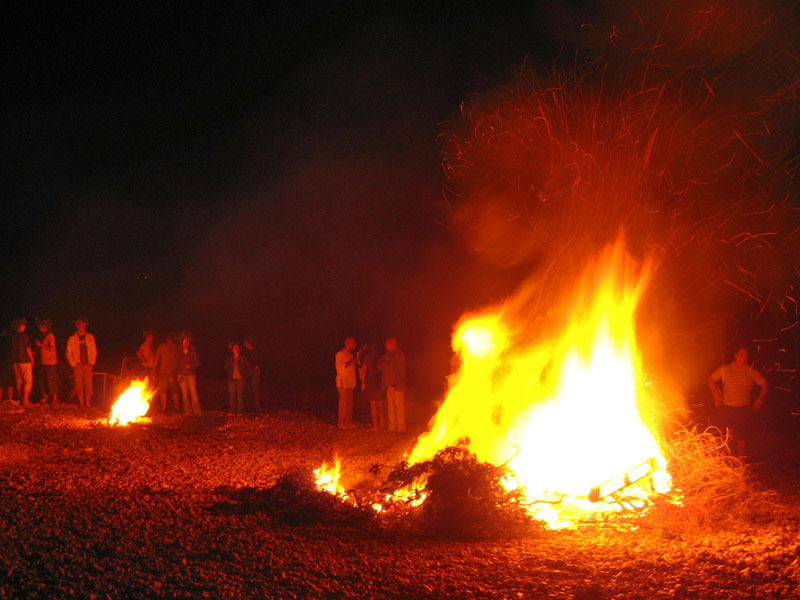 St John’s Eve (or Oiche Fheile Eoin) is celebrated in many parts of Ireland with the lighting of bonfires. In Northern Ireland it is termed Bonfire Night. 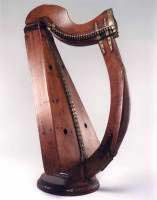 This ancient custom has its roots in pre-Christian Irish society when the Celts honored the Goddess Áine, the Celtic equivalent of Venus and Aphrodite. 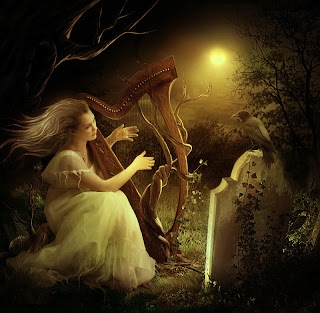 She was the Goddess Queen of Munster and Christianised rituals in her honour (as Naomh Áine) took place until the nineteenth century on Knockainy, (Cnoc Áine – the Hill of Áine) in County Limerick. During the festival, people would say prayers, asking for God’s blessing upon their crops. They would also take ashes from the fire, and spread them over their land as a blessing for protection for their crops. It was also common to have music, singing, dancing, and games during the festival. The fire was used for destroying small objects of piety (rosary beads, statues, etc.) without disrespecting God. It was also common for people to jump through the flames of the bonfire for good luck. Midsummer Eve or St. John’s Eve is also known as Herb Evening because most of the wild herbs are fully mature by Midsummer making it the traditional time for gathering magical and medicinal plants to dry and store for use during the winter. 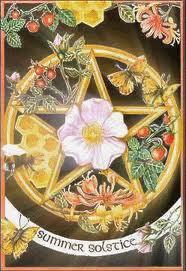 Any herbs gathered at midnight on Midsummer’s Eve were believed to have unparalleled potency and of special power. Some of the more traditional herbs gathered include St. John’s wort, plantain, yarrow, mugwort, vervain, lavender, ivy, and mistletoe. Superstitions were part of the everyday life of our ancestors, and Midsummer was rife with all kinds of strange beliefs. Here are some old Midsummer superstitions regarding herbs that I have discovered throughout the years. Onions turned in their bed on St. John’s day will come out fine. If on Midsummer Eve nine kinds of flowers are laid under the head of a person, the sleeper will dream of his or her sweetheart. It is unlucky to gather herbs on St. John’s day after the sun rises. On St. John’s eve the people took means of preventing Elfin visitors from entering the house by hanging St. John’s wort over their doors. If you dig up a burdock root on St. John’s day between eleven and twelve at noon you will find a lucky coal which is good for many charms. If you find it, it will miraculously teach you what it is good for. 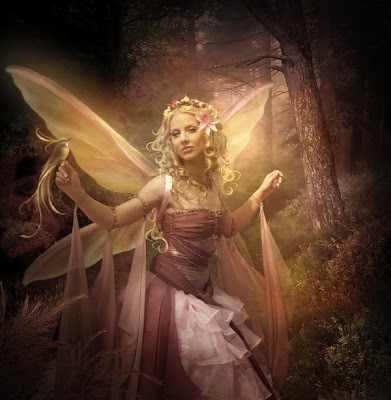 On the Isle of Man it is believed that if you happen to tread on a bit of St. John’s wort on St. John’s Eve, a fairy will rise up and carry you about at a great pace and neverlet you go till morning, when he will drop you just where he happens to be. A plantain has a rare coal under the roots, found only on one hour in the day, and on one day in the year. 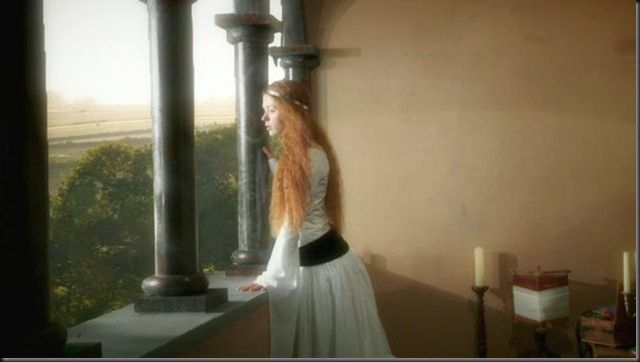 If a maiden will search for it at twelve o’clock on Midsummer’s day and put it beneath her head at night, she will not fail to see her future husband in a dream. Fennel hung over the doors and windows of your house on Midsummer’s Eve will keep all evil spirits, sorcerers, demons, and the Devil at bay. Fennel seeds placed in the keyholes of doors will also keep ghosts from entering a house.